Conflicting agendas and not on the same page: those phrases can be applied not only to the business world, but also at times to friendships, marriages, churches, politics, and schools; in fact, anyplace where people have to work together. Maggie and Beth remained friends. Neither one said that the other was a bad person or dishonest or mean. They just had different ideas on how to run a company, and were no longer able to be partners. These phrases, ‘conflicting agendas,’ and ‘not on the same page,’ do not appear in the Gospels, but Jesus had that problem in his relationships with those he knew, worked with, and ministered unto. He impressed people and confused them at the same time. People were attracted to him and irritated by him. The afflicted found comfort in Jesus, but then Jesus found ways to challenge and afflict those who became too comfortable. He came announcing a whole new world– “The kingdom of God is at hand,” he would say. But then, oftentimes when he did a miraculous healing, he would tell the healed person not to tell anyone. He would get huge crowds following him, and the disciples would tell him to come and meet them, but then sometimes Jesus would withdraw to be by himself and pray. Later, when the crowds grew turned against Jesus, the disciples warned him that it would be dangerous to go into Jerusalem; but then Jesus chose to go to Jerusalem and mix with the crowds, and within a week of his arrival his was arrested and put on a cross. Jesus told parables to simplify his message for the common people, but then sometimes his parables were so mysterious that his own disciples didn’t even get the point. His interpretation of the Law of Moses was at times even stricter than Moses, but then Jesus was tender and merciful to even the worst sinners. As time went on, people began to see that Jesus was not on the same page as anyone. Sometimes it seemed he wasn’t even in the same book. Jesus had his own agenda. 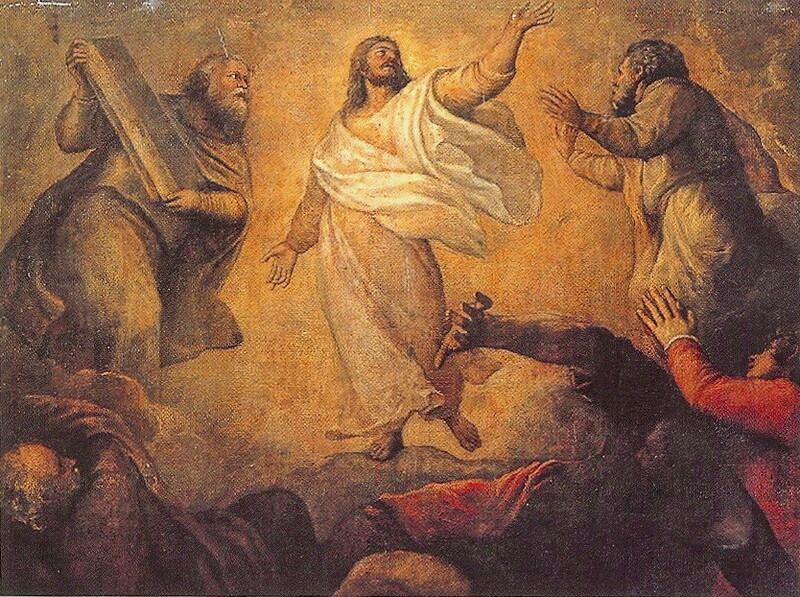 The account of the Transfiguration in Matthew 17:1-9 is a perfect example of this. The story comes when the ministry of Jesus is in full swing. He is well known, but people are baffled by him. “Who is this man?” was a common question, meaning, “Who is he that he is able to control the weather, heal a leper, make the lame walk, let the deaf hear, give sight to the blind, and even raise the dead?” But the people also asked “Who is this man?” in the sense of “Who does he think he is to forgive sins, reinterpret the Law of Moses, associate with prostitutes and tax collectors, and even say that he and the Father are one?” Everyone was wondering who Jesus was and what he was all about. Any questions? Not any more. That settled everything. Moses and Elijah disappeared, and the Son of God remained, with “his face shining like the sun and his clothes as white as the light” (verse two).